You asked for it - you got it! 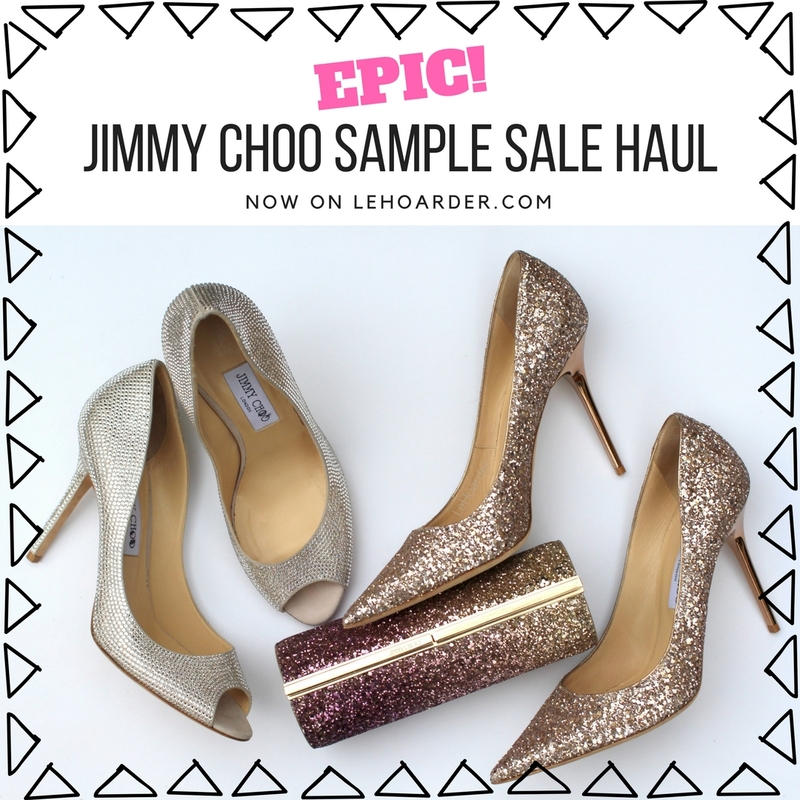 Time for my epic Jimmy Choo sample sale haul! Jimmy Choo's NYC sample sale is known for amazing designer deals for killer prices. In my last post I discussed the difference between a good sample sale and those that are a waste of time. Choo definitely does NOT fall in the latter category. When prices are 90% off or better you need to run. The Jimmy Choo sale is a Bargainista's paradise. I discovered this sale a few years ago and I haven't missed one since. You can read previous sale reports and hauls here, here, here, here and here, but let's get started with my finds from the Fall 2017 sale! Don't feel bad if you missed out. They typically run this sale 1-2x year, and there should be another come June. And before you complain that you live out of town, you may want to consider flying in for this one. The savings will pay for your plane/bus/train ticket. That said, some sales are better than others and this year most definitely did not disappoint. These fringed bag charms were just $30 each (on the last day). I googled them and saw they retailed from $215-285. Small leather goods start at $75/100 depending on the year and I've seen them marked down to as low as $25 on the last day. But you have to admit she looks pretty darn cute in them. They were $100 (I'm guessing they retailed for about $600) which is a little nuts for a kid but plenty of people spend more on UGGs for their children so I don't feel so bad about splurging. Plus I was excited that she finally fits women's sizing. Where I really killed it was in men's shoes. I wanted to grab a few pairs for my son for his Bar Mitzvah and ended up grabbing for my husband as well. On the last day men's shoes get slashed to $50 which is insane. Some of these retail for as much as $1,500. Crazy. The best deal at the sale is probably the $10 belts. Again, this is a last day markdown. If you want a better selection or you are super picky then you probably want to go first day. But if you're happy to dig, and don't mind a scratch or two, wait for the end for rock bottom pricing. I grabbed four belts and made sure at least one was adjustable so Ella could wear it too. Poor Ava was sad that she didn't get anything but she's not really ready for designer goods - nor does she fit anything at Choo anyway. And let's not forget my new white Lockett which was only $150 - over 90% off! Score! I know I already got a python Lockett last year (seen here) but I don't regret grabbing this one too. Last but not least, my shoes. I was actually looking for these Romy glitter heels (RV $675) so I was so excited to find them in rose gold for $100. When I found the matching ombre Trinket bag (RV $1,050) I had to take it too. It was $200 so I almost didn't take it but I'm a sucker for a matching set. And I can't seem to find these open toe blinged out crystal Evelyn heels online anywhere but similar ones retail for over $2,000. Maybe they're samples? Maybe they're a few seasons old? All I know is they look brand new and and I'd be insane to have left them. So who plans on joining me for the next Choo sale? So if you have an insatiable itch for Jimmy Choo right now, I'm linking some sale Choos for you to shop online right now. But IMHO you should seriously wait for further markdowns. Happy Shopping! FYI I heard the Louboutin sample sale is coming up. That's one sale I can't seem to get in to. I'm thinking maybe I haven't tried hard enough. But if you have an invite and take me as your plus one - I'll love you forever. Going to that sale in on my bucket list. Seriously. So fun to bump into you yesterday. Your kid are delightful! Wow looks like you scored some major Jimmy Choo products for the whole family! I love those sparkly heels and matching clutch. Perfect for the holidays. I would love to go to the Louboutin SS too!! Let us know if you go! Thanks! And you bet you're gonna hear all about the Loub sale if I ever make it in!! Right? I wish they had them in my size too! This is such an amazing sale! I absolutely love all the products that you found. I didn't know that Jimmy Choo offered such great deals twice a year. I can't believe that the men's shoes were only $50! I will definitely be attending their next sale. This is totally epic!!! Jimmy Choo totally is my fave designer shoe brand!! They are pretty, and comfortable!!! I can wear them all day long. Unlike some of the brand, they are pretty and also functional!!! Those gold glitter pairs are my fave, great for the festive season. I literally want to go to ny and have a shopping day with you. I always say this and you always find the best deals! Haha. Loving everything you got. Especially those pumps. To die for! I am a huge fan of Jimmy Choo! It's all about style and I can't believe that you found such great deals. 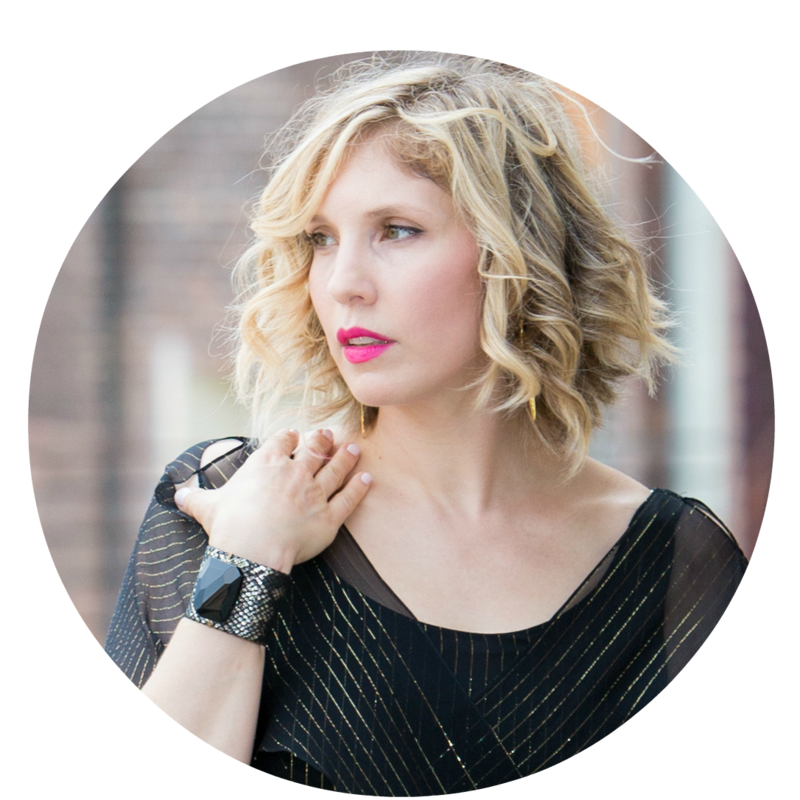 Metallics are suoper trendy so I will check them out because all of those are perfect for the holidays! Thanks for sharing this amazing opportunity to buy the chicest shoes! This sale really is EPIC! I can't on all these good deals! I might have to fly from LA to NY in June just for this sale! I can't believe that mens shoes are going for $50! Such a great deal! My favorite purchase of yours were the glitter heels and the gold sneakers for your daughter. So cute!